So as you would know we have been slaving away on our paving over the last few months. The Alfresco is now complete and looks fantastic if I do say so myself and now we are considering moving down into the pool area. The thing is we are still trying to decide just how we want to do this. 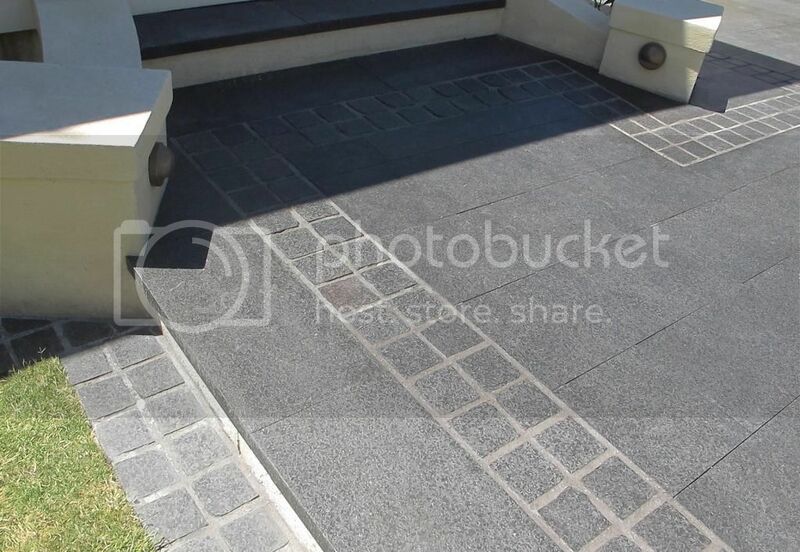 See we are considering the idea of changing the size and texture of the pavers down in that area - we would have a boarder of the big 300 x 600 times but then are thinking maybe using the smaller cobble stone pavers? What do you think - is this a good idea or will it just make everything too .... busy? Hi from the eastern side of Australia. What a great job you guys are doing. Go with your gut with the pool area. I like things the same. But thats not to say what you want wont look good.